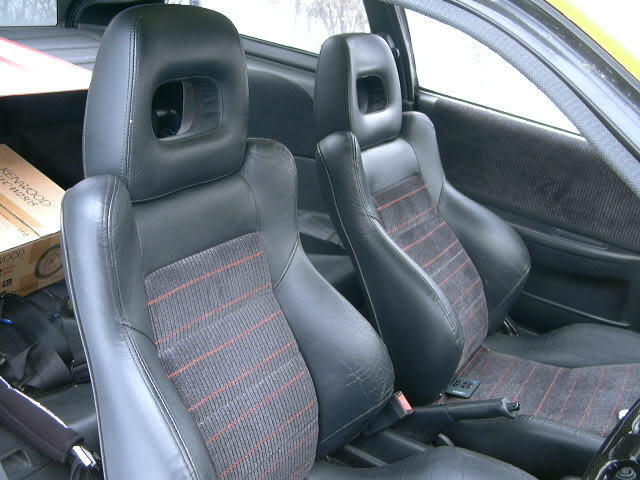 The Front seats are in good shape, the drivers side bolster has wear and a tear on the side about 1" square. There is only 1 tear in the rear, about an inch long at the top of the rear seat. The bottom and the rest of the rear is mint. Comes with the seats, and seatbelts. Looking for $600 + Shipping for front and rear seats with accesories. Thats pimp. Got any more pic's? FS: CHEAP! GSR MOTOR, JDM B16a BLOCK, GSR Black Rear Leather, Other misc. stuff.